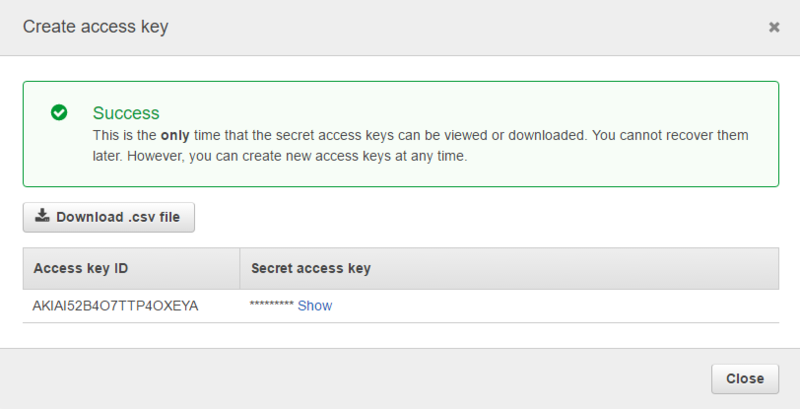 In this post, we will explain how to retrieve Amazon Access Key ID and Secret Access Key. 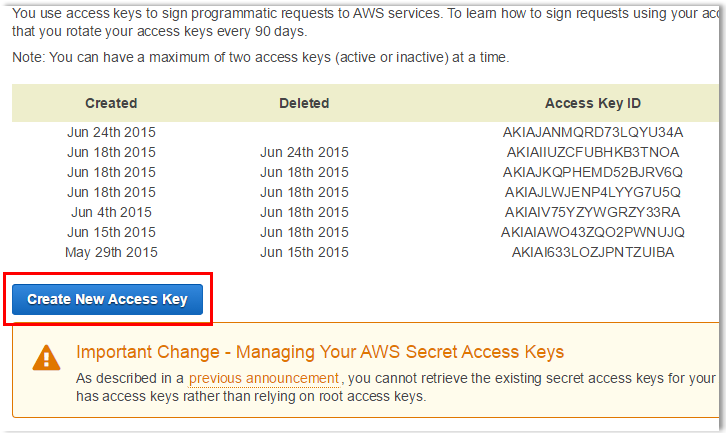 These keys allow you to control your AWS account. 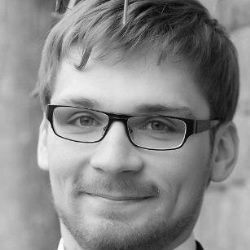 Note: As a best practice, AWS recommends creating an IAM user rather than relying on root access keys. 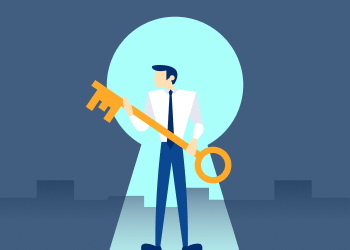 IAM access keys allow you to securely control access to AWS services and resources for your users. Below, please find instructions on how to retrieve root access keys and IAM access keys. 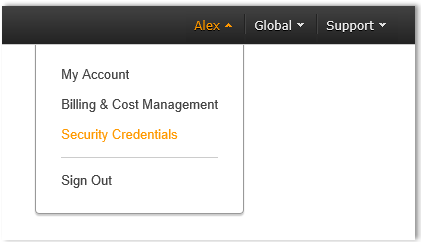 1 Go to Amazon Web Services console and click on the name of your account (it is located in the top right corner of the console). Then, in the expanded drop-down list, select Security Credentials. 2 Click the Continue to Security Credentials button. 3 Expand the Access Keys (Access Key ID and Secret Access Key) option. You will see the list of your active and deleted access keys. Note: You cannot retrieve the existing secret key. You can see the secret key only once immediately after creating. So, in order to get a secret key, you will need to create a new one. 4 To generate new access keys, click the Create New Access Key button. 5 Click Show Access Key to have it displayed on the screen. Note, that you can download it to your machine as a file and open it whenever needed. To download it, just click the Download Key File button. Attention! If you do not write down the key or download the key file to your computer before you press "Close" or "Cancel" you will not be able to retrieve the secret key in future. Then you'll have to delete the keys which you created and start to create new keys. 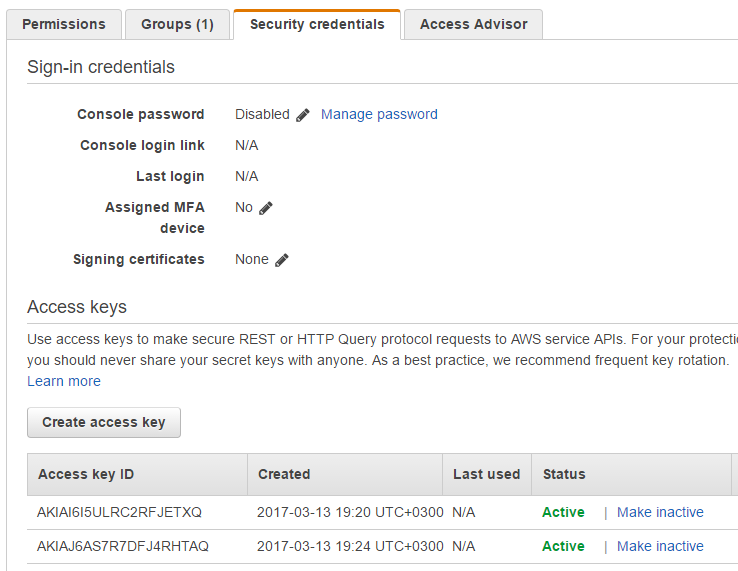 1 Go to Amazon Web Services console and click on the name of your account (it is located in the top right corner of the console). In the expanded drop-down list, select Security Credentials. 2 Click the Get Started with IAM Users button. 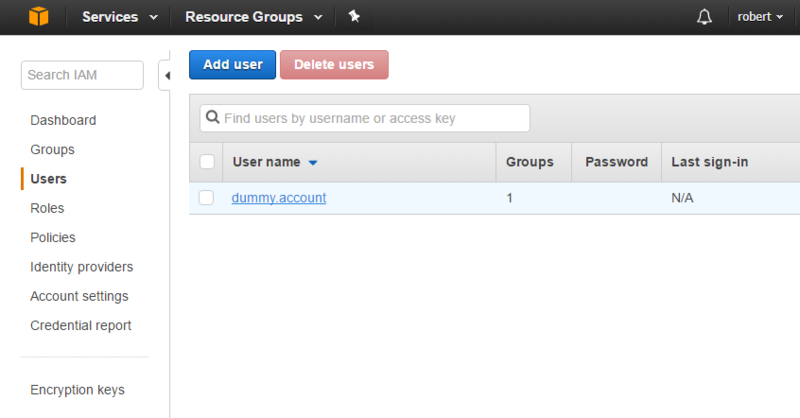 3 This will bring you to the IAM Dashboard where you can manage IAM users and their permissions such as creating new IAM users, adding IAM users to the custom groups, granting them a certain level of permissions, etc. 4 To review the IAM access keys, click on a particular user. 5 Under Security Credentials, you will see a list of Access Keys for the IAM user. Note: You cannot retrieve the existing secret keys. You can see the secret key only once immediately after creating. So, in order to get a secret key, you will need to create a new one. 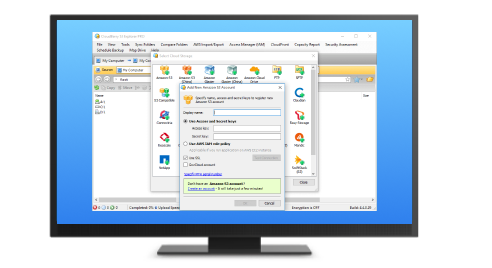 6 Click Create Access Key to create a new key. The new access keys will be generated and displayed on the screen. Attention! If you do not write down the key or download the key file to your computer before you press "Close" or "Cancel" you will not be able to retrieve the secret key in future. Then you'll have to delete the keys which you created start to create new keys.